ObamaCare is constitutional. That decision is final. No matter what happens in the November elections, ObamaCare is here to stay. It will not be repealed, entitlements are immune. That is reality, it is what it is. How much will PPACA impact our bottom line in 2014? What can we do to mitigate the financial and administrative impact of PPACA? A new, intense and demanding service to provide plan sponsors with expert guidance through ObamaLand’s health care landscape is upon us. Insurance consultants have only 17 months to figure out all the angles. Editor’s Note: There are big consulting fees to be earned under ObamaCare. Praise The Lord! LexisNexis Risk Solutions introduced LexisNexis® Insurance Exchange mobile application on Wednesday. Now that the Supreme Court has decided that ObamaCare’s mandate to buy health insurance is a tax, will the IRS be able to collect it? Advisors who understand the practical implications of healthcare reform and how to move to a consulting-based practice will win in this environment. REGISTRATIONS ARE ON A FIRST-COME, FIRST-SERVED BASIS AND THESE COURSES ARE EXPECTED TO FILL UP QUICKLY. The old saying, “Better be careful what you ask for” characterizes a strategy some hospitals have developed against certain health plan provider reimbursement schemes. The Good Guys always win. Details to be posted soon. Editor’s Note: ObamaCare has a silver lining. Acknowledging opportunities and seizing the moment ensures financial success for seasoned health care consultants and their self-funded clients. Health Insurance Companies & ObamaCare: Extinction or Re-Invention? There’s only one problem with this analysis, and it’s a huge one: At no point does it consider the thousands of dollars of federal insurance subsidies that most workers will be eligible to receive if their firms drop coverage — yet up to 63 percent of non-elderly Americans will be eligible for taxpayer-funded insurance under Obamacare. According to the Census Bureau, there are 266.5 million individuals under age 65. Of those, 169.2 million, or 63.5 percent, have incomes under 400 percent of the federal poverty level — the threshold under which individuals can receive insurance subsidies. Yet at no point in the Truven study did the analysis of net employee costs show that most workers will be subject to some type of federal insurance subsidy to offset the loss of an employer’s health insurance contribution. This major omission makes the Truven study theoretically interesting, but largely irrelevant. Of course employers are not going to drop coverage — at least not without major employee unrest — if subsidized insurance isn’t available elsewhere. But if the federal government will pick up the tab for most, or perhaps even all, of a firm’s workers’ insurance, why wouldn’t an employer re-structure its benefits package to send its low- and middle-income workers to Exchanges for subsidies, and/or dump health insurance entirely? That’s an inherently logical question that even Truven’s illogical and flawed study can’t deny. Summary: Supreme Court ruling has little effect on health care captives. Michigan’s insurance commissioner has issued an order that insurers can’t put certain restrictions in their hospital contracts without his approval. In an order dated Wednesday, Insurance Commissioner R. Kevin Clinton said he is giving insurers six months to get approval for existing or future hospital contract requirements. Starting on Feb. 1, Clinton will prohibit the use of “most favored nation” clauses — requirements that opponents argue stifle competition and drive up rates for consumers — unless he approves them. Any attempts by insurers to enforce those kinds of requirements after Feb. 1 are banned and would result “in appropriate administrative action,” Clinton said in his order. Aetna Inc., the federal government and former state Attorney General Mike Cox have filed antitrust lawsuits against Blue Cross Blue Shield of Michigan for the use of the controversial hospital contract requirements. In some cases, the Blues’ contract conditions prevent hospitals from charging other insurers lower rates than the Blues or boost reimbursement to hospitals if they charge higher rates to other insurers. Federal judges have rejected requests by Blue Cross to dismiss the federal and Aetna lawsuits and are letting them proceed to trial. “This action by the state of Michigan is a fair, formal regulatory review of both existing and new contracts to ensure any MFN provisions are proper,” said Jeffrey Rumley, Blue Cross Blue Shield of Michigan vice president and general counsel. The Blues have argued that the hospital contract requirements help lower rates and get discounts for its more than 1 million customers. Rumley added in a statement that commissioner’s oversight re-enforcesthe Blues’ argument that the hospital contract provisions are overseen by state regulation, not federal regulation. “These orders will help create a more competitive market for health insurance in Michigan and are a start toward leveling a playing field that has been tipped toward Blue Cross for many years,” said Rick Murdock, executive director of the Michigan Association of Health Plans. Uncle Herrman, Why Would I Want To Pay More When I Can Pay Less? The posting immediately following this one has spurred a reaction from Molly Mulebriar, resident intern in training. “Bill, first of all, Uncle Herrmann is doing fine, fishing at Lake Guerrero with his buddies. But, the real purpose of this email is to ask you, why would anyone want to pay more for a drug when they can get the same drug down the street at CostCo, Walmart or HEB for as much as half the price? It just does not make sense. And why would a PBM include a string of retail pharmacies on their panel, knowing that drugs purchased there are priced higher, in some cases much higher, than the same exact drug down the street from a pharmacy also on the network panel? Editor’s Note: It’s all about marketing, Molly. A broad PPO network listing is more popular with consumers whose only skin in the game are silly co-pays, than a narrow and limited panel of providers. Uncle Herrman, They Kissed & Made Up! Dear Benefit Adviser,We are pleased to inform you that earlier today Express Scripts and Walgreens announced a multi-year agreement. As of Sept. 15, 2012, Walgreens will begin to participate in the broadest Express Scripts retail pharmacy network for new and existing clients. Legacy Express Scripts clients with broad networks: As of Sept. 15, Walgreens will begin to participate in the broadest Express Scripts retail pharmacy network for your new and existing clients. Legacy Medco clients with broad networks: The broad network for legacy Medco clients includes Walgreens. This agreement does not affect your clients’ current network and has no impact on their members. Clients with narrow networks: The agreement does not apply to our narrow networks. Clients in these networks will not be affected as Walgreens continues to not participate. Express Scripts is developing an internal communication package to help your clients convey this information within their organizations and anticipates making these materials available in the coming days. Express Scripts members can log in to www.express-scripts.com to see pharmacies that are currently in their network. By Sept. 15, Walgreens pharmacies will be visible on the Express Scripts pharmacy locator for members who are in the broadest network. Express Scripts continues its commitment to making the use of prescription drugs more affordable, and aligning with your best interests to provide a clinically sound and economically responsible pharmacy benefit. Express Scripts has a variety of pharmacy network offerings to address the needs, member access and economic objectives of your clients. Over the past year, we never lost sight of our goal: alignment with our clients’ interests. We appreciate your business and are passionate about improving the health outcomes of your clients’ members. If you have any questions or comments, please contact your Express Scripts Strategic Relations Director. Whats Wrong With The Health Care Media? Independent doctors are closing up shop or going to work at hospitals or bigger group practices where they aren’t directly responsible for overhead costs. Health Insurance Rebates: Taxable or Tax Free? In the health reform debate, we do a lot of crystal ball gazing over whether employees will keep offering health insurance in 2014, or send employees to the new health insurance marketplaces where some could purchase subsidized coverage. The companies would face a $2,000 per employee fine for not providing coverage, but that’s a whole lot less than the cost of providing health insurance. Truven Health Analytics recently took a deep dive into the financial decision employers face. It looked at health plan data for 33 large companies, including universities, retailers, those in financial and manufacturing industries. It found that moving employees into the exchanges would save employers a little – but also cost workers a lot. The cost of health benefits jumps for two key reasons. First, when large companies purchase insurance, they buy in bulk and tend to get a better deal. “Big employers can lower the cost of an individual premium by spreading risks across a bigger pool,” says Fabius. Economies of scales, in other words, disappear in the individual market. Then, there’s the tax advantage: Employer-sponsored benefits do not get taxed. Any policy purchased on the health insurance exchange, however, would have to be purchased with post-tax earnings. That gets layered on top of some other fees, like the $2,000 penalty for not providing health insurance. The company’s other benefits, such as life and disability insurance, would likely become more expensive as companies that usually buy them as a bundle with health care would be shopping for stand-alone products. That’s if employers keep paying for insurance. Truven also models an alternative situation, where an employer decides to drop insurance coverage altogether and let the worker handle it herself. Truven’s research aligns well with other work, from consulting firms, that have modeled the impact of employers dropping insurance. Benefits firm Lockton has research estimating that an employee who loses employer-sponsored insurance would spend 79 to 125 percent more buying benefits on the exchange. This doesn’t mean companies won’t drop coverage: There are, after all, some savings at stake here. It does, however, add a bit more complexity to companies’ financial calculations. Employers would see some savings – and also difficult conversations about why health care costs were spiking. Employers need to be prepared to act quickly when regulatory guidance is issued on new health care rules that go into effect in 2014 under the Obama administration’s health care overhaul, as there are a number of uncertainties that the federal government must still clear up by then, a health care analyst said July 12 in a Mercer webcast. Will Long Term Care Insurance Survive In The Market? Leading insurance carriers have withdrawn from the group long-term care insurance market, prompting employers to think twice about implementing new programs — are we witnessing the death throes of worksite LTC? Soluta Care allows physicians to give treatment for minor illnesses and injuries anywhere. From your computer, you will see the answers to questions about your patient’s symptoms and their history. Your session will then move to a Soluta Health exam room where you will be set up for an instant messaging session with your patient. You can answer your patient’s questions and and respond to your patient’s concerns in the Exam Room. Your patient can even upload images for a better diagnosis. You can recommend treatment and even send prescriptions to your patient’s preferred pharmacy. With the pending expansion of healthcare insurance to millions of newly insured, it is time to re-examine the delivery system if one wants true reform that is financially sustainable. This requires an analysis of how to integrate doctors, hospitals, other providers, insurance companies and pharmaceutical suppliers in a workable and affordable delivery model that can be adopted relatively rapidly in most areas of the country. 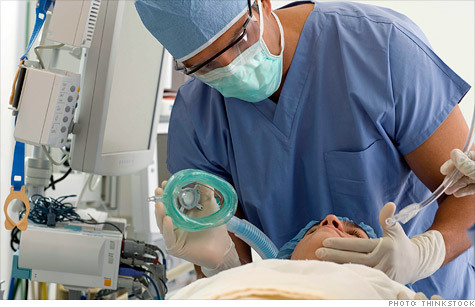 Health care law may affect the ability of smaller employers to self-fund their benefits. REQUEST FOR PROPOSALS RFP-0712-TPACP Description: Third Party Administration Services to Administer the tax deferred annuity and custodial plans under Section 403(b) and 403 (b)(7), the Cafeteria Benefits Plan vendor IRC Section 125, the Part-Time, Seasonal and Temporary (PST) 457 and the Regular 457 Deferred Compensation Plans, Voluntary Plans, and other Supplemental Plan PROPOSAL DEADLINE: Tuesday, July 24th, 2012 2:00 p.m. San Benito Consolidated Independent School District (SBCISD) is interested in receiving proposals for the above item. Sealed proposals will be received at the office of Ms. Emma McCall, Business Manager, 240 North Crockett Street, San Benito, Texas 78586. Interested offerors may obtain specifications and information by accessing our website at: www.sbcisd.netYou must use the proposal form included therein as your response to this request. If you are unable to access our website or need additional information you may contact Mr. Adrian Garcia, Purchasing Agent, SBCISD, 240 North Crockett Street, San Benito, Texas 78586, telephone number (956) 361-6390, e-mail agarcia@sbcisd.net. A recent article in Forbes reports the immenent demise of commissioned health insurance agents. Although independent agents provide valuable services to their clients, insurance companies under pressure from Minimum Loss Ratio requirements under ObamaCare, will jettison their preferred method of distribution out of neccessity. It is estimated that 100,000 independent agents will be “fired” by health insurance carriers in the next year. Our advice to health insurance agents to survive, and thrive in their choosen field is to quit. Yes, quit receiving commissions from health insurance companies. Write every carrier you represent and tell them you no longer require them to act a payroll master for you and for your clients. Tell them you have decided to get paid directly from the clients you represent, thank you very much! By this simple act, you become an agent for your client, not the insurance company. You will truly represent their interest, probably for the first time. Your value will be determined by the clients who agree to pay you, You will enjoy new friendships and you will earn more money than you ever thought possible. You will be truly independent. In Texas you will have to be licensed to receive fees directly from your clients. A Life & Health Insurance Counselors License and a Risk Managers License are required. You should apply for these licenses right away, or face the unemployment line next year. With ObamaCare now firmly in place, and with the outside chance the Republicans will repeal and replace it, the bottom line is health care delivery as we have known it is gone for good. AUSTIN, Texas—The state of Texas will not set up a state health insurance exchange where the uninsured, among others, could use health care reform law authorized premium subsidies to buy coverage, Gov. Rick Perry said Monday.In addition, Texas will not expand Medicaid to cover more low-income state residents, Gov. Perry said.“I oppose both the expansion of Medicaid as provided in the Patient Protection and Affordable Care Act and the creation of a so-called ‘state’ insurance exchange, because both represent brazen intrusions into the sovereignty of our state,” Gov. Perry wrote in a letter sent to Health and Human Services Secretary Kathleen Sebelius.“Neither a ‘state’ exchange nor the expansion of Medicaid under the Orwellian-named PPACA would result in better ‘patient protection’ or in more ‘affordable care.’ What they would do is make Texas a mere appendage of the federal government when it comes to health care,” Gov. Perry wrote.Under the health care reform law, the federal government can set up a health insurance exchange in states that decline to do so. Last month, the U.S. Supreme Court struck down a health care reform law provision that would have stripped federal funding of Medicaid from states that did not expand eligibility for Medicaid. Health Care Repeal Waste Of Time? Editor’s Note: Plan Sponsors who base their buying decision on stop loss cover are uninformed and need immediate rehab. Group health care plan costs are expected to increase by double-digit amounts in most parts of the world in 2012, according to a Towers Watson & Co. survey released Monday.The biggest cost increases are expected in North America, where costs are projected to rise 11% in 2012, according to the survey of health insurers. It is followed by Latin America, where costs are projected to rise by 10.5%, and Asia/Pacific, where insurers project cost increases of 10.2%.The smallest projected cost increase—8.1%—was in Europe, followed by the Middle East/Africa with projected cost increases of 10%.The three biggest reasons cited by respondents for rising costs are new medical technology, cited by 52%; medical providers recommending too many services, cited by 50%; and providers’ efforts to boost profits, cited by 31%.The survey is based on the responses of 237 insurers operating in 48 countries. The Godbey Group, ( http://www.thegodbeygroup.com/ ) a national consulting firm, is conducting a research project in and around Victoria, Texas. If you have been a recent Inpatient or Outpatient in one of the Victoria area hospitals, we are collecting Blue Cross Blue Shield Explanation of Benefits (EOB) that you would have received for your Hospital stay or use of Outpatient Services for the period from May 1, 2011 through May 31, 2012. If you are interested in participating, please black out any personal information on the EOB (patient name, address, SSN, etc) and mail a copy of the Hospital EOB to The Godbey Group. Please note that no Physician office visit EOB’s will be accepted. The Godbey Group will pay $10.00 per qualified EOB as determined by The Godbey Group. The Godbey Group will not return your EOB to you. If you have any questions, please contact us at (972) 714-0004. The research project ends July 15, 2012 but is subject to earlier discontinuation without prior notice. The above solicitation appeared in the July 1, 2012 edition of the Victoria Advocate.